Dr. David Blatt, 56, and Dr. David Moore, 57, partners, groundbreaking medical practitioners and advocates in HIV/AIDS care, known for their personal attention to their patients. David Blatt grew up in Indianapolis, Indiana, in the 1950s and 1960s, where he attended public schools. He began his medical career by working in the emergency room of the local public hospital, Marion County General, as an orderly. He graduated from Harvard College and The George Washington University School of Medicine in Washington, D.C., and subsequently moved to Chicago for a residency at Cook County Hospital, where he met and fell in love with David Moore. David Moore is a 1971 honors graduate of Southern Illinois University and earned his doctorate at the Chicago College of Osteopathic Medicine in 1975. After his Cook County Hospital internship and residency, he earned his board certification in internal medicine, worked as a teaching attending internist at Mount Sinai Hospital, and in 1981 joined with Blatt to form their celebrated partnership practice. Moore has also taught at the University of Illinois College of Medicine and at Rush Medical College. In 1982, when the AIDS epidemic had only begun to have its impact in the United States, Imany in Chicago’s LGBT communities were in denial. Amid suffering and indifference, two visionary physicians, life and professional partners David Blatt and David Moore, emerged as models of selfless commitment in the face of death and dying. They created the exemplary Unit 371 at Illinois Masonic Medical Center, treating AIDS patients and serving their partners or other family members by creating a safe haven where people could spend unlimited time with beloved friends and relatives. They were known as “the gay presence” at Illinois Masonic, putting a human face on AIDS, offering comforting reassurance to frightened patients at a difficult time, and even making house calls. Unit 371 became a model for AIDS units at medical centers across the United States. Today, Drs. Blatt and Moore still get up and go to work at 3000 North Halsted Street to care for their HIV/AIDS patients, offering the same compassionate professional and personal attention as they did a quarter of a century ago. 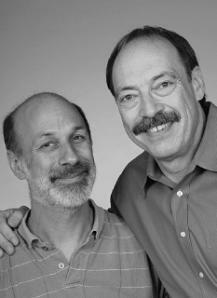 The Blatt–Moore internal medicine practice focused on gay health issues from the very beginning. The two doctors treated, comforted, and nourished—often to life’s end—patients who in many cases were also their close friends. Blatt and Moore reassured frightened patients by putting a human face on AIDS care. Today, Moore is a practicing internist and a teaching clinic attending physician at Advocate Illinois Masonic Medical Center. Blatt also continues to be engaged actively in the clinical care of persons with HIV and AIDS and is an assistant professor of medicine at the University of Illinois College of Medicine. Drs. Blatt and Moore have, for more than 25 years, been outstanding advocates and champions of the LGBT and HIV/AIDS communities, but as important as their professional commitment has been their abiding love for each other across several decades.